RhiReading: And on that note... RhiReading is on hiatus until February! And on that note... RhiReading is on hiatus until February! But seriously my dear readers, for several months now I've been having to drag myself out of a funk almost daily just to get any kind of content up. I love blogging and reading and interacting with everyone, I'm just in need of a break. 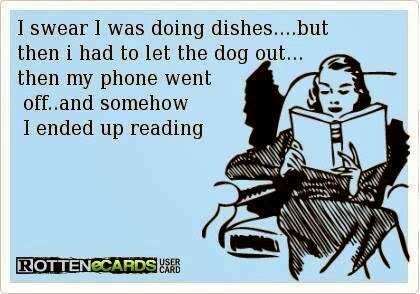 That image above—if you switched reading and dishes—has been my life of late. The pressure on book bloggers is far more intense than we show. Most of us make no money blogging, work jobs and/or are raising families, have relationships and homes and pets and responsibilities to them. And yet we blog out of a sheer passion for fiction and connecting to others who share that. 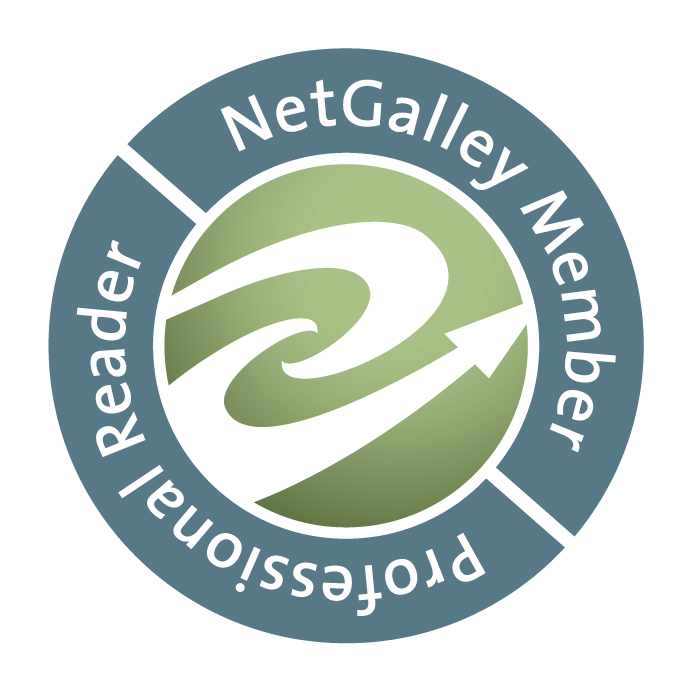 Even so, daily emails from publishers and authors and tour organizers, keeping an organized schedule, formatting and preparing posts, writing thoughtful and insightful reviews (not to mention reposting those everywhere), planning and delivering on giveaways, building an audience through social media and commenting on other blogs and such can take a toll. It is a full time job with lots of over-time. We try to fit in everyone and everything, or at least I try to fit as much as I can, and saying no is so hard when you want to do it all. So after a little coaching from a fellow blogger I decided that my original plan of a 10 day break wasn't nearly enough. I will still be around on social media a bit and will try and answer any reader emails but aside from maybe a review here or there I will not be posting any new content to RhiReading until February 1st. Reading has felt like a chore lately and once I slay my to-be-read-for-review list I want to read something I didn't sign up for. Maybe I'll even take one whole week away from books and marathon one of my fandoms... or two... or three. Anyone for a LOTR marathon with me? I hope you have a wonderful holiday and send you my very best wishes for the new year, may you resolve to read lots of great books!